The largest number of Johnston/e families originated in Dumfriesshire in the southwestern part of Scotland, in Annandale and adjacent areas. 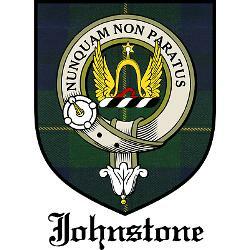 Many Johnston/es with ancestors from southern Scotland descend from various major cadet lines, such as the Johnston/es of Lockerbie, Elsieshields, Westerhall, Gretna and Newbie, Poldean, and Wamphray, to name a few. Even more cannot show a connection to a major cadet family. Few of these families can show a genealogical connection to the Chief. The Aberdeenshire branch of the Clan traces its origin to Stiven de Johnston in Aberdeenshire who lived during the reign of King David II (1331-1368). He was a man of great learning, on which account he was called “the clerk”, and became principal secretary to the Earl of Mar. Stiven married Margaret, daughter and heiress of Sir Andrew Garioch of Caskieben, through whom he obtained the lands of Caskieben and Crimond. 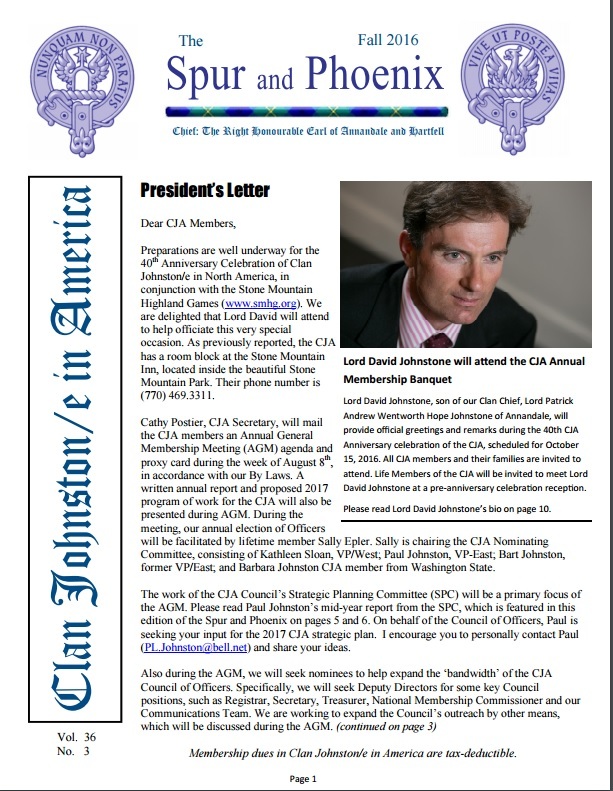 Some Johnston/es may find that their origin is neither Annandale or Caskieben, but from various other places in Scotland. For example, there are Johnston/es from Perth, the ancient name for which was St. Johnston. Starting in the early 1600s, many Johnston/es migrated from Scotland to Ulster, which was then an unsettled frontier. It has been said that there are now more Johnston/es in Northern Ireland than in Scotland! Many of these Johnston/es subsequently migrated to America, and it is probable that a high percentage of American and Canadian Johnston/es descend from these Ulster Scots.